Boronia is seen to grow commonly in woodlands and forests. The plant is a genus of 90 to 100 varieties of shrubs that belong to the tribe Boronieae. The star shaped flowers of the Boronia look quite attractive in full bloom and give out a slight floral perfume. It is said that Boronias are not that easy to grow in the gardens, but with the right attention and care you can easily grow these short lived shrubs in your garden. You can make this shrub to be a permanent part of your garden landscape. Boronia flowers and foliage are used to prepare essential oils. You will get a scent to come out when you crush the foliage of this shrub that can be light to distressful. There are plenty of varieties of Boronia. The widely grown shrub is the brown Boronia. The brown Boronia and the native rose are the best varieties of Boronias to give out a wonderful scent. The cup shaped brown Boronia gives out a heavenly scent and does not exceed more than one meter in height. Boronias thrive in cool climates and need a moist, but well drained soil. It does not need too much light, but the light must be deployed. It is ideal to plant it in a raised garden bed where there is partial sunlight. Roots enjoy cooler conditions and to keep the roots cool you need to keep the roots well mulched. Mulch the soil with organic mulches even gravel and stones. It is important to keep the root zone from getting dried out. The area around the plant needs to be mulched well and using gravel around the plant is a very good option. You should remember that it needs moderate watering. You need to ensure that the plant is planted in such an area where it is protected from low temperatures and frosts. Ensure that the shrub is protected from the afternoon sun during summer time. These are short lived shrubs and needs good care to bloom well. How to plant and Grow A Boronia Shrub? The first thing you need to do is to choose the Boronia variety you are planning to grow in your garden. Once you have bought the plant, you need to choose the most suited spot to grow the plant in your garden. 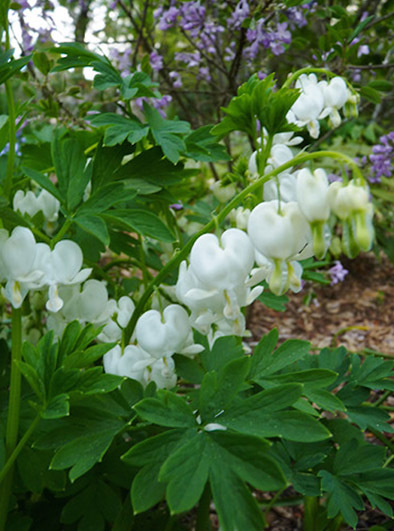 As they thrive in dappled light and in well drained soil, plant them in the right area in your garden. Growing the Boronias along with other plants will give them the necessary shade and shelter. You will have to keep the plant watered on a daily basis. The soil should never be dry. Once the buds start to open up, you can cut off the longer stems of the plant to put in a vase inside. This is the start of the pruning process. You can trim off the plant after the flowering is complete. Cutting off the dried flowers is a very good option. This is the right time to add fertiliser to the soil to encourage plant growth. You should use a native plant food or mulch around the base of the plant. You can also add a layer of cow manure to the soil. This is how you can grow Boronias in your garden.